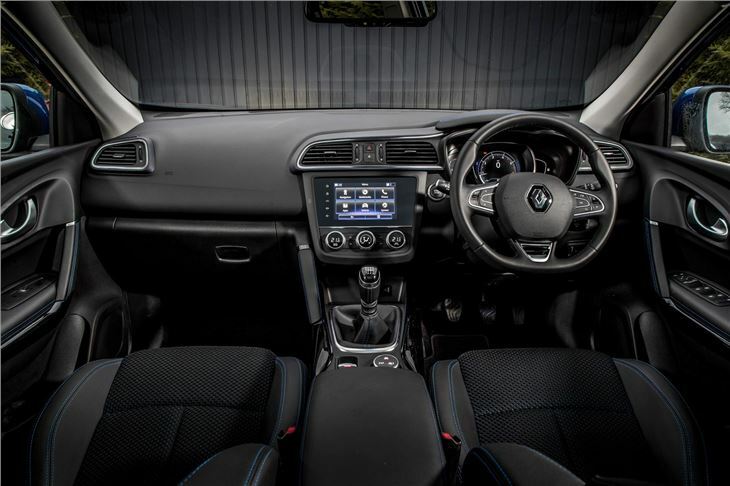 Renault styled alternative to Nissan Qashqai. 4WD steers and handles well for an SUV. Reasonably economical. Ride of 2WD can feel unsettled less than perfect road surfaces.. Only one 1.2 turbo petrol engine. 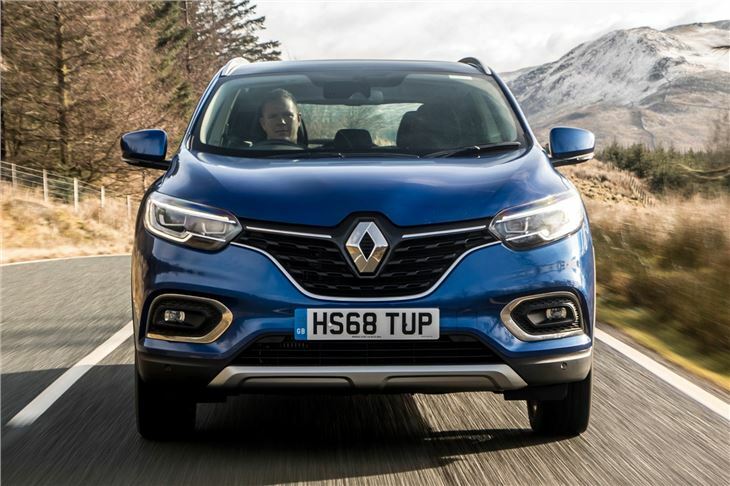 Stylish, good to drive and keenly priced, the Kadjar encompasses everything that’s good about Renault’s remarkable resurgence in family crossovers. 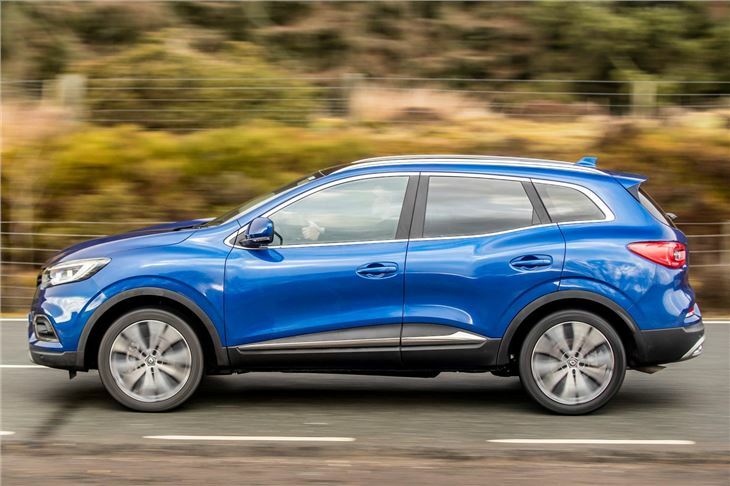 Born out of the Nissan-Renault alliance, and built in Palencia, Spain, the Kadjar shares a lot of its technology with the impressive Qashqai, but outshines its British-built rival with better practicality and a longer four year 100,000 mile warranty. 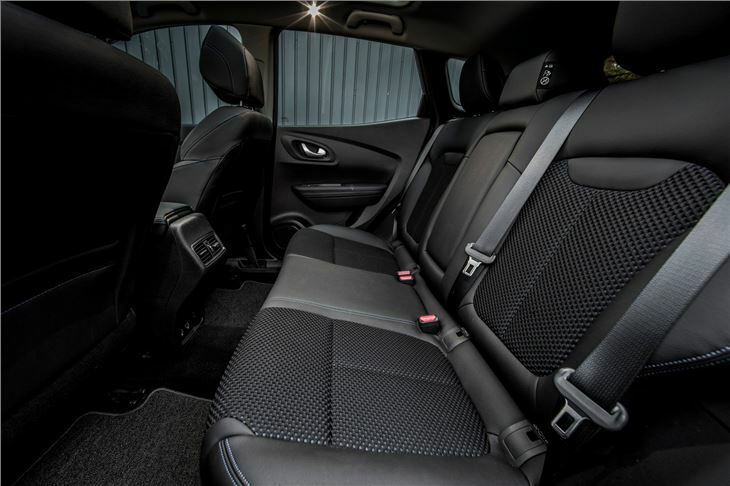 Like the Qashqai, the Kadjar majors on everyday practicality and comfort, with a spacious and high quality interior plus lots of storage. However, owing to its clever use of space, the Renault boasts a larger boot than the Nissan, with 472 litres when the rear seats are in place. It uses the same engines as the Nissan which means a 1.2-litre TCe turbo petrol with 130PS and two dCi diesels - one a 1.5-litre with 110PS and the other a 1.6-litre with 130PS. A six-speed manual is standard across the range, as is front-wheel drive, although you can specify a six-speed automatic and four-wheel drive. The most efficient engine - and the best seller - is the 110PS 1.5 dCi with an official 74.3mpg with sub 100g/km of CO2. With a 0-62mph of around 12 seconds, the front-wheel drive diesel might not be the most exciting, but it has sufficient pace to cope with motorway driving and family life. Only those living in rural areas will want to sacrifice economy - 58.9mpg - for the 1.6 diesel with four-wheel drive. 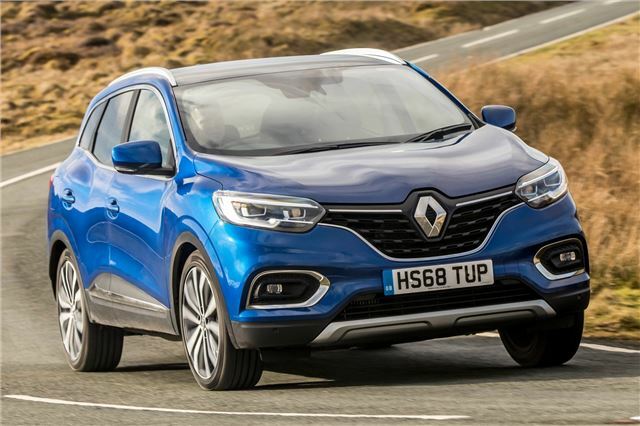 Entry-level Expression+ models get a decent amount of kit as standard - Bluetooth, DAB, air conditioning and safety kit - but lack some important equipment, such as height adjustment for the driver's seat and alloy wheels. However, pick one of the higher trims and it's difficult to find many faults with the comfortable and capable Kadjar. 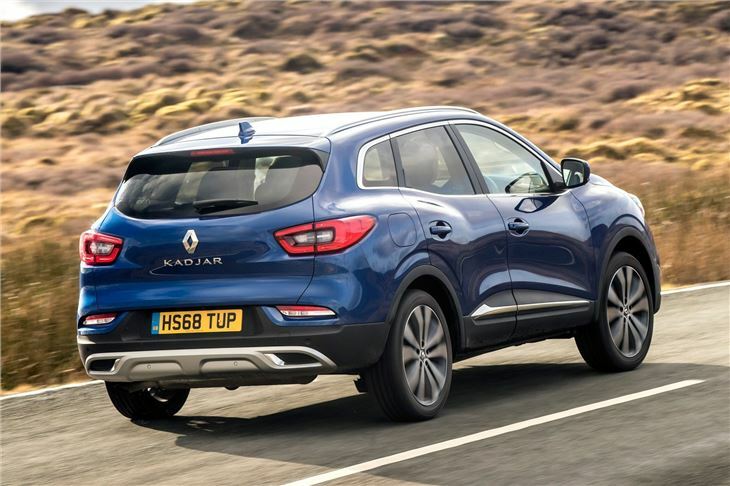 Affordable and stylish, the Kadjar represents a significant step up for Renault and has lots of family appeal, with keen pricing and low running costs. 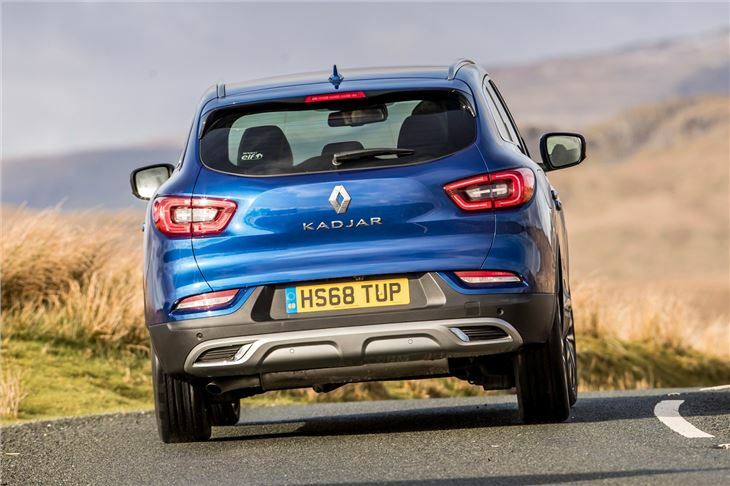 As a result the Kadjar is a compelling choice for those who want an alternative to the conservative Nissan Qashqai and Ford Kuga.